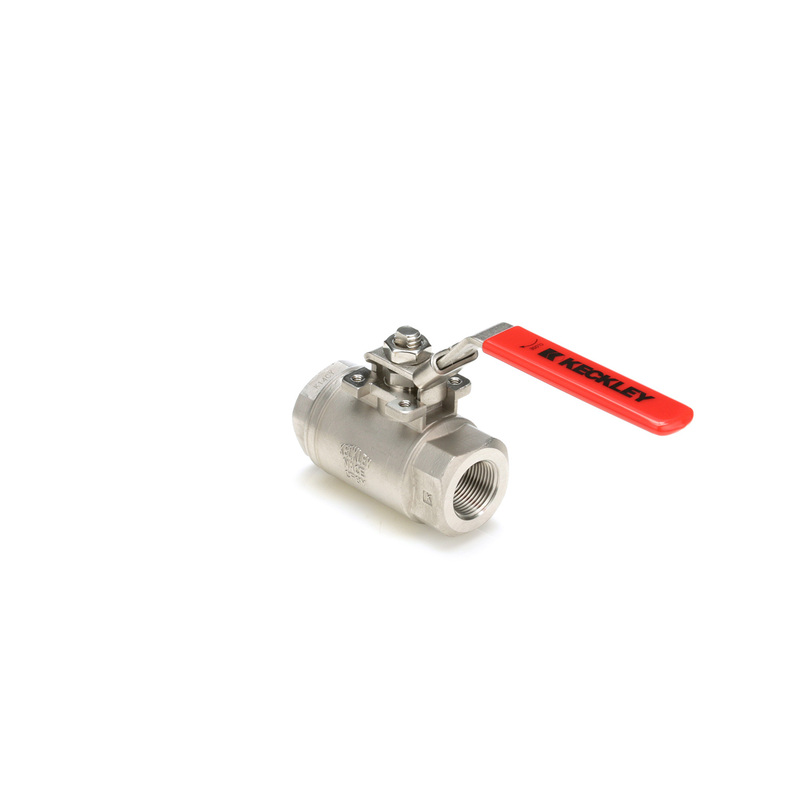 Keckley Style BVS3 seal welded high pressure ball valves are constructed from investment cast ASTM grade materials that are NACE MR0175 compliant. They are machined to exacting specifications. Full seal welding of body to tailpiece eliminates the possibility of the tailpiece unthreading, leaking or “blowing out” in service. All valves are shell and seat tested in accordance with API 598. ASME B16.34 Class 1500 compliance provides full conformance to ASME B31 Piping Codes. Industrial and Oil/Gas piping applications where the safety of seal welded construction is desired, any application that requires ASME B16.34 Class 1500 compliance and/or compliance with API 608, and operating pressures are 3600 PSIG or lower. Configure your BVS3 ball valve here.